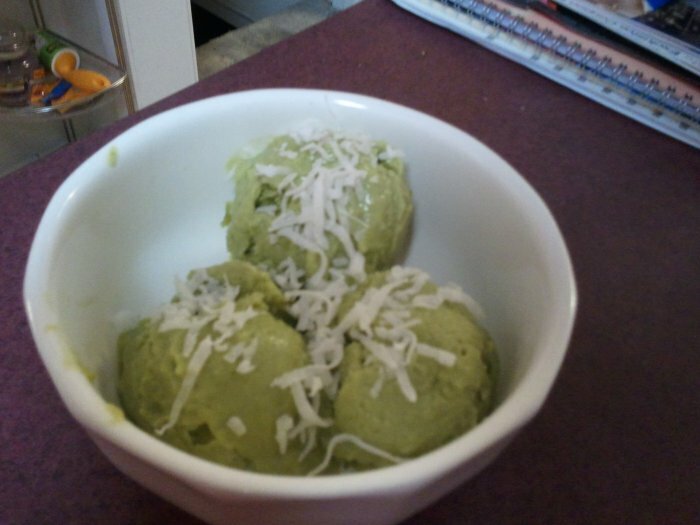 Easy Gourmet Recipes - Vegan Dessert Avocado Coconut Lime Sorbet Recipe. Healthy natural recipes including breakfast recipes, appetizer recipes, soup recipes, pasta recipes, holiday recipes, party recipes, dessert recipes, gluten-free recipes, raw recipes and budget recipes. In a medium saucepan, combine the water & sugar, cook over high heat. Bring to a boil, then reduce heat until all the sugar is dissolved, stirring frequently. Remove from heat, set aside, and stir in lime zest, chill in the refrigerator at least 1 hour. Then take the avocados, lime juice, and cream of coconut, (& salt if you are using it)in a food processor or Vitamix, blend until smooth. Add the chilled syrup and pulse to combine. Sometimes I even throw in a handful of coconut. Pour into a container and freeze or pour into an ice cream maker and follow manufacturer directions…yum yum yum and it is all sooooooo good for you! Enjoy!